A couple of days ago in The Byzantine Superweapon, and again yesterday in Innovation, Stagnation, and Optimization, I discussed some of the forces that led to the technological stagnation of classical antiquity, which ensured that there would be no industrial revolution in the classical world. Western civilization had to pass through the painful contraction of political and economic collapse in Western Europe, and lose much of what it had struggled so hard to build, before it could get to the point at which the conditions were right (and ripe) for industrialization. Now, the way that I have worded the above paragraph suggests a kind of historical inevitability, and this is philosophically objectionable. If one is going to make a claim of historical inevitability, one has an intellectual obligation to state this claim, and to defend it. However, I am not making such a claim, although my position could be interpreted as a weak form of historical inevitability. What do I mean by “weak historical inevitability”? A strong formulation of historical inevitability would simply be a statement of determinism. A weak formulation of historical inevitably need make no metaphysical claims about determinism, but does acknowledge that, given the kind of civilization that characterized classical antiquity — settled, slave-holding, agrarianism — it would have been virtually impossible, or in any event extremely unlikely for technological innovation to escalate to the point of an industrial revolution. Before industrialization could occur, certain social changes must occur. But the “must” in the last sentence is not the “must” of necessity or determinism, but only a weaker “must” of the preponderance of the evidence. Call this a scientific must if you must, because it shares in the inductivism and revisability of all scientific thought. In the same spirit of a scientific perspective on history, imbued with an empirical and inductive approach (rather than an a priori and deductive approach, in which “had to” and “must” carry connotations of metaphysical determinism, as in Marxism), there is another factor in the stalling and stagnation of ancient Western civilization that bears examination, and this relates to the geophysical structure of the Roman Empire, which represented classical antiquity at its greatest reach and its most robust iteration. Of course, the study of the geography of political structures is the meat and potatoes of geopolitics, and I have written a good deal on geopolitics and geostrategy. But even though geopolitics represents a “big picture” and “long term” view on political structures, in the field of geophysics geopolitics is the shortest of short term perspectives. Those who take the longer view of human history and civilization in the context of geography — Jared Diamond is probably the most famous contemporary example of this — are frequently charged with “geographical determinism,” and while in some instances this may be true, but, as I noted above, we can adopt a weak sense of geographical inevitably and avoid all metaphysical determinism. 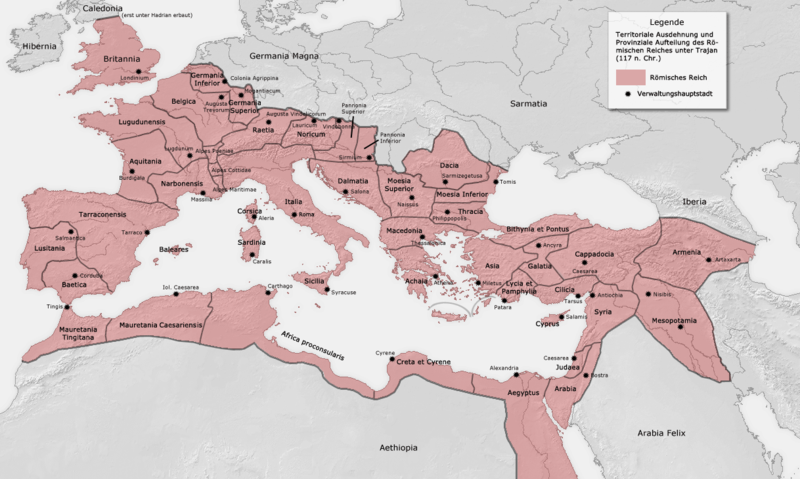 The geographical unity of the Roman Empire was primarily a function of the Mediterranean Sea, which was ringed by ports that connected the cities of the empire with water-borne commerce — at that time in history, the only form of commerce that could move mass quantities of goods. Maps of the Roman Empire show it surrounding the Mediterranean. After the collapse of Roman power in the West, Western civilization moved inland and approximated pure agriculturalism until expanding again across the North Atlantic and new and larger geographical unity based on water-borne commerce. During its medieval phase, and carried over into continental politics during the modern period, Western civilization gave rise to no durable empire on the scale of the Roman Empire. The European peninsula is too geographically divided by rivers and mountain ranges to posses the kind of geographical unity the Roman Empire had in virtue of the Mediterranean. George Friedman and Strategic Forecasting often argues in this vein, and in this I think he is right. Friedman has also pointed out that, geopolitically, China is an island. Separated from the rest of the world by deserts, mountain ranges, and the ocean, the traditional unity of Chinese civilization derives from this insular geography. The only people who penetrated the fastness of China were the Mongols; the Chinese themselves did not engage in successful power projection, but spent most of the history warring with each other to determine who would rule the geographical unity of China. The same geographical divisions of Europe that led to a plethora of petty kingdoms, states, statelets, principalities, and city-states led to ideological, political, economic, and even aesthetic diversity by way of the cultural equivalent of allopatric speciation. In other words, civilization speciated rapidly on the European peninsula. Political and ideological diversity meant a history of continuous conflict, which was at times was ruinous, but at other times had the remarkable quality of competitive government, so that a variety of diverse candidates for political leadership contested with each other to demonstrate (usually militarily) who could provide the best rule. The brilliance of the Italian renaissance is sometimes credited — rightly, in my view — to the competition among principalities on the Italian peninsula. The Roman Empire, possessing the geographical unity of the Mediterranean — similar in a certain sense to the insularity of Chinese civilization and its series of empires — did not benefit from competitive government. It became, in contrast, a political monoculture that iterated itself around the Mediterranean basin and penetrated as far inland was travel by road was practicable. Instead of competition, the Roman Empire bestowed peace — the Pax Romana. In this context, the Pax Romana could be understood as a cause, if not the cause, of the decline of classical antiquity, for without the continual pressure of war there was no need reason to systematically harness science, technology, and engineering to practical ends, and these pursuits remained an elite preoccupation of a handful of privileged and relatively isolated individuals. By contrast, the continual (internal) warfare of medieval Europe eventually gave birth to the scientific revolution even before the industrial revolution made the application of science to technology systematic. Universal empire — as in Rome or China — leaves peoples with a choice between civilization and barbarism, whereas competing political entities offer peoples a choice between different representatives of a particular tradition of civilization. Spanos mentions as an example of Byzantine technological innovation “Greek fire,” said to have been invented by the Syrian military engineer Callinicus of Heliopolis (himself a refugee from conflict), and which was famous throughout late antiquity as a fearsome weapon. I have been listening to Professor Jeffrey Burds’ Modern Scholar lectures, The Second Oldest Profession, Part 1: A World History of Espionage, and in the last part of the second lecture, “Espionage Among the Ancients,” Professor Burds goes into some detail concerning Greek fire. Interested as he is in espionage, Professor Burds focuses on the legendary secrecy which surrounded Greek fire — which secrecy, it should be pointed out, contributed to its aura as a mystery to be feared. So secret was Greek fire that the exact nature of it has not survived into modern times. We have a pretty good idea of the chemical composition and delivery system, but we don’t have the exact ingredients or a surviving Greek fire device (one cannot help but wonder if a Greek fire delivery system will be dug up some day). The Byzantine use of “Greek Fire” must be understood as a “weapons system” in the modern sense of the term, with several integrated technologies employed together according to an established military doctrine. The Byzantines left several famous military manuals to posterity, but unfortunately there is not surviving manual on the use of Greek fire in combat. Yet I strongly suspect, given its employment over a period of several hundred years, that Byzantine admirals had a Greek fire doctrine. It should be kept in mind that any technology sufficiently robust to employ as a weapons system in combat operations has reached an impressive level of sophistication, and with this in mind we should grant the sophistication of the Greek fire weapons system in Byzantium, which involved several different components — ships, kettles for heating the chemical mixture, pumps, pipes, the delivery nozzle — which were separately constructed and only later assembled (Professor Burds credits this compartmentalization of the production and operation of Byzantine Greek fire for it being successfully kept secret), trained crews in the operation of the weapons system stationed on the ships, and, last of all, the secret chemical ingredients of the flammable mixture combined and loaded on to the ships by a representative of the Byzantine royal family. This Byzantine superweapon exploited the technological capabilities of classical antiquity, engineering them into an effective weapons system that served state interests for hundreds of years before the secret was lost to posterity. In a sense, then, Greek fire represented the science, technology, and engineering of an entire civilization. Classical antiquity was capable of producing machinery of a high degree of precision when so desired — I have in particular cited a Roman water pump I saw in a museum in Madrid, and of course there is the famous Antikythera mechanism and the clock in the Tower of the Winds in Athens, inter alia — but given the overwhelmingly agrarian character of ancient civilization there was little motivation to systematically exploit mechanical and industrial technologies. Ancient Roman water pump, a sophisticated artifact of mechanical engineering. In classical antiquity, technology was pervasively present, but not systematically exploited for the purpose of improving the human condition. 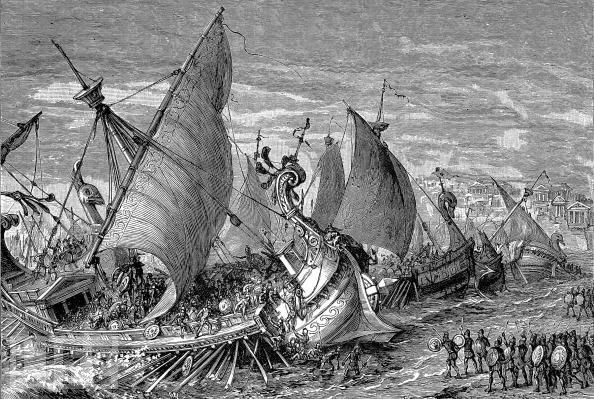 Under the circumstances of immediate military threat, when regime survivability was put into question, we do find the systematic exploitation of science, technology, and engineering — not only the Byzantine superweapon, but also there is the famous story of Archimedes producing war machines for the defense of Syracuse, and there are ancient books on the construction of siege engines, e.g., Siegecraft by Heron of Byzantium, which suggests a level of system brought to this military knowledge. Once the military threat was removed or neutralized, however, the motivation to exploit technology for practical purposes seems to vanish. With an economy based on slave labor, there was little motivation to produce labor-saving devices. folio 10 recto: detailed image of portable siege tower. Heron of Byzantium probably designed similar structures. In my post on anonymization I observed that industrial production in classical antiquity rose to the level of routine, and employed economies of scale, but it never rose to the level of anonymous mass production. So too all the high technology of the ancient world was hand crafted. And not only did the production remain unsystematic, but the knowledge itself remained unsystematized for the most part. Since the context of knowledge was not made systematic, knowledge was more easily lost. In contemporary industrial-technological civilization — in which such technological devices are not merely peripheral to the civilization, but which are rather constitutive of the civilization — the context of knowledge is made as systematic as the escalating cycle of science, technology, and engineering. Steam turbine after the design of Hero of Alexandria. We can see, in retrospect, countless ways in which the ancient world failed to “connect the dots” of technology in terms of fully exploiting innovations, scaling up, and engineering a technology into an industry. Time and again there are missed opportunities to substantially improve the material context of life by even a modest extrapolation of existing techniques and technologies. 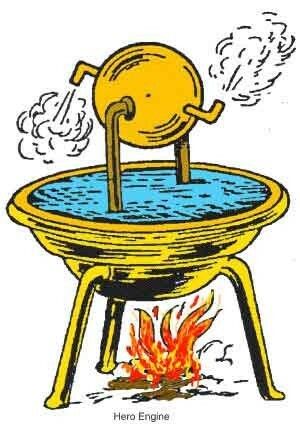 For example, Hero of Alexandria — the same Alexandria famous for its library, which Carl Sagan characterized as a research institute of classical antiquity — invented a steam turbine, the Aeolipile, among many other devices. But rather than being harnessed for work, Hero’s steam engine was treated as a curiosity. In Historical Disruption I noted how Tamim Ansary mentioned that Taqi al-Din’s steam turbine failed to be more than a novelty in its social context. Exactly the same thing was true of Hero’s steam turbine. Taqi al-Din, Muslim polymath. Like Hero of Alexandria, his inventions remained mostly curiosities. It was clearly within the technological competency of ancient engineering to harness Hero’s steam turbine to do mechanical work — it could have been used to operate a water pump for mining or agricultural irrigation, to power an air pump for bellows, to turn a potter’s wheel or the spindle of a lathe, or to actuate a reciprocating saw. None of these things happened — or, if any of these applications were attempted, none were adopted on a scale that would have made a difference to way people lived. Throughout his Cosmos television series, Carl Sagan refers back to Greek science and technology, and at one point imagines what the world would be like today if science and technology had progressed steadily from that time to the present day. It is an enjoyable exercise in counter-factual history, but it doesn’t really reflect what was going on in the ancient world. There was no social infrastructure in place to exploit technological innovations. Sagan was closer to the truth when he mentioned in the last episode of Cosmos that ancient scientists never questioned the social institutions of their time, and Sagan particularly singles out slavery. Slavery almost certainly retards the advancement of civilization, and for this reason if for no other must be considered a retrograde institution. It is all-too-easy for the empowered and privileged classes to sit back and let the slaves to the work, even when everyone’s life could be improved through the most basic technological innovations and their exploitation in labor-saving devices. It was a lack of interest, and not a lack of ability, that nipped an ancient industrial revolution in the bud. Perhaps slavery also retards the moral progress of civilization, and there is a systematic relationship between moral progress and technological progress. This would be a highly controversial thesis to maintain, but one can at least see the glimmer of an argument here. With this in mind, it is possible, then, that the collapse of the Roman Empire ultimately laid the foundations for the growth of industrial-technological civilization, because the historical discontinuity between antiquity and medievalism assured that ancient institutions were abandoned and new institutions were established in place of them. Slavery went the way of the Homeric gods, sacred prostitution at temples, and — unfortunately — bathing. For all its faults, one of the great achievements of medieval European civilization was its abolition of slavery, even if the condition of peasants was little different from that of slaves. This makes it all the most puzzling how, once Western civilization eliminated slavery once, it made a comeback in the early modern period, only to be eliminated again in the nineteenth century. it would be a worthwhile topic for historical research to attempt to understand why Western civilization had to twice rid itself of slavery. The city plan of Timgad clearly shows the rationality of Roman town planning. The organic medieval cities that were eventually to house the successor populations of the former territories of the Roman Empire represent a very different approach to urbanism. I have no doubt that the dissolution of the Roman Empire will be discussed as long as human civilization endures, and because the discussion unquestionably endures in our own time, there is a lively debate over almost every aspect of Roman power and its eventual dissolution. It is a question that is endlessly fascinating, and that is one reason that I find myself returning to it. An aerial photography of Timgad clearly showing the town plan as the most striking feature that remains of the city. Moreover, a focus on cities in the ancient world can lend both clarity and focus to the discussion of Roman failure in the west, given the canonical status of city-states in classical antiquity. And it would add further clarity and focus to continue this concentration on urbanism into the medieval period in order to compare the ancient urban experience with the medieval urban experience. As I will sketch briefly below, there were some abandoned medieval cities, but most medieval cities of western Europe continued to grow and develop and were eventually transformed by this development rather than being abandoned. 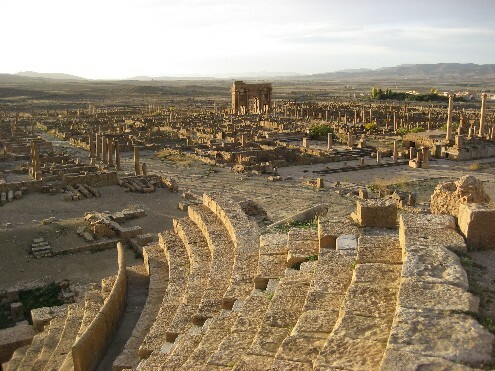 View of Timgad with arch, colonnade, and theater clearly visible. The decline of Roman cities was at the same time the rise of manorial estates, and with this transition from the city of the countryside, the socio-economic system of the city slowly gave way to the socio-economic system of the manorial estate. If we had good statistics from this period, we could identify the particular year in which the changing Roman Empire (or its former dominions) shifted from being primarily urban to being primarily rural, as today we can identify the particular year that humanity became a primarily urban species, such the more people live in urban areas than live in rural areas. Henri Pirenne (23 December 1862 – 25 October 1935) formulated the eponymously known Pirenne Thesis. Many distinct but interrelated process contributed to the failure of Roman cities and their institutions, which might also be called (if one would like to take a different perspective on the same historical events) the rise of the manorial system, which was already well underway (though not fully consolidated) in the later Roman Empire. With the diminution of Mediterranean trade, fewer and fewer grain ships came from Egypt to feed the urban masses; the country estates of the Roman aristocrats were forced to become productive farms in order to replace the other lost sources of food; the urban masses began to abandon the city for the sources of food in the countryside; small holders had to attach themselves to larger aristocratic households; and all the while the culture of the aristocrats and the former urban masses were becoming progressively more Christian, with genuine expressions of popular piety that broke the connections to traditional Roman festivals, which were often civic and urban events. When these several processes achieved near totality, the feudal system was complete, but it was already implicit in the socio-economic developments of the late Roman Empire. Pirenne’s formulation of the Pirenne Thesis grew out of his analysis of medieval cities. In yesterday’s discussion of Roman cities I didn’t make any attempt even to review the theories of Roman collapse. There are many such theories, most famously Gibbon’s contention that the decline and fall of the Roman Empire represented, “the triumph of barbarism and religion” — presumably a triumph over civilization and secularism — and the Pirenne Thesis, according to which it was the rise of Islam that signaled the end of classical antiquity. Recent thought focuses much more on the continuities than the discontinuities between the late Roman Empire and early medieval Europe, and I alluded to this yesterday when I quoted Gordon Childe’s account, which was an early example of emphasizing historical continuity. Coulanges studied the ancient city prior to the model of iterated Roman civilization that transformed the Hellenistic cities of the ancient Mediterranean. The Pirenne Thesis is particularly interesting in the present context, because Pirenne’s thesis, despite making the rise of Islam central to the ultimate collapse of Roman power, emerged from Pirenne’s study of medieval cities. I remarked yesterday that it would be interesting to take up the failure of Roman cities from the perspective of Fustel de Coulanges’ famous book The Ancient City. Such a project would consider Roman cities in their formative stage. If the inquiry were extended to include Pirenne’s Medieval Cities, we could close the parentheses on Roman cities, as it were, by also considering the medieval urbanism that was the successor institution to Roman urbanism. …experienced a crisis nearly equal to the failure of the Western Roman Empire with the Black Death. By the middle of the fourteenth century, when the Black Death struck Western Europe, medieval civilization had been steadily expanding for several centuries — economically, demographically, socially, politically, intellectually — and it was devastated by a crisis unlike any other in Western history. Medieval civilization survived (unlike Roman civilization, which did not survive its catastrophe), but it was diminished and altered. Gordon Childe gained renown as a prehistorian, but in his later work his scope expanded to include the ancient world up to its dissolution. Medieval civilization was quite literally diminished, since the Black Death resulted in a dramatic contraction of the population of Europe, which led in turn to a contraction of the farming that was the basis of the medieval European economy, and this in turn meant that many medieval villages were abandoned. Some survive today as place names with no remaining structures, while others disappeared without a trace. The expansion of medieval villages, and the organic nature — both in terms of structure and material — of medieval urbanism meant that most medieval villages founded during the period or Europe’s medieval expansion consisted of timber-framed, wattle-and-daub structures, which when abandoned during the Black Death were rapidly re-absorbed into the damp, rain-soaked landscape of Western Europe. The Robust towns built of durable stone were among those that survived. Even if abandoned, squatters could return to inhabit the most permanent dwellings, which I expect happened with some frequency in the aftermath of the plague. Regardless of the relative merits of continuity theories and discontinuity theories of the transition from antiquity to medievalism, one point that can be made more clearly than debating the decline and fall (or, if you like, transformation) of an entire civilization, is this: Roman urbanism failed. Even if we maintain that Roman civilization continued on in altered forms, Roman cities failed. The tradition of Roman town planning was lost; the new cities that eventually emerged after the abandonment of so many Roman cities emerged centered on a monastery or a cathedral. As I have observed on several occasions, these medieval cities were organic in composition and conception. The medieval successor institution to Roman urbanism simply happened; it was not designed and it was not planned. New social and political institutions meant that the cities functioned differently from Roman cities. The way of life of Roman cities was lost and it was not recovered. There were no more great public baths, or sacred prostitution at ancient temples, or syncretistic religious pluralism. For all the analogies between Roman cities and medieval cities, the central institutions of public life were distinct. Thus whatever we may say of Roman civilization, Roman urbanism failed, and the urbanism that replaced it when medieval Europe returned to the building of cities (after a period of several centuries in Western Europe that saw almost no urban construction at all) was an urbanism based on different principles and different institutions. (Again, as Gordon Childe put it, “…old Mediterranean towns were replaced by new cathedral cities.” What Happened in History, p. 291) This fact alone makes the study of the failure of Roman cities singularly interesting. However, I must also point out the Roman urbanism only “failed” after having endured for more than a millennium, which means that Roman urbanism was also one of the most successful institutions in human history. Why did Roman cities fail? We cannot make a clear and unambiguous distinction between Roman cities and Roman civilization when we ask why Roman cities failed. It has been said that Mediterranean civilization is essentially urban, centered in its cities, so that the failure of Roman cities was the failure of Roman civilization, and vice versa. We could even take a term from economics to express this, and say that the fall of the Roman Empire in the west involved the co-movement of failure across Rome’s western cities. Heliopolis, or Baalbek, in modern Lebanon. When I previously wrote about Failed Cities I realized later that I had failed to make any basic distinctions between classes of failure suffered by cities. Some instances that I cited couldn’t even be called “failure” in the strict since, as these cities were destroyed by natural disasters (here I am thinking of San Juan Parangaricutiro in Mexico, which was covered by lava and volcanic ash, but any city destroyed by a natural disaster and not subsequently rebuilt and repopulated would serve equally well as an example, such as Pompeii). Even among destroyed cities we ought to distinguish between those destroyed by natural disasters, those destroyed purposefully in war, and those destroyed by their inhabitants. Once these distinctions are made, it can be observed that there will be no clear and unambiguous distinction between some cases of failure sensu stricto and some cases of the destruction of a city by its own inhabitants. This last observation, which may seem a bit overly-subtle (and, believe me, I could go into in a much greater detail if I cared to do so), is germane to the present concern of why Roman cities failed. If Roman civilization may be identified with the network of Roman cities, then the failure of Roman civilization in the West may be identified with the systemic failure of Roman cities. Since a natural disaster may destroy a few cities but it not likely to cause the failure of many diverse cities over a wide geographical range of distribution (unless that natural disaster is global climate change), the across-the-board failure of Roman cities would not seem to be due to natural disaster. 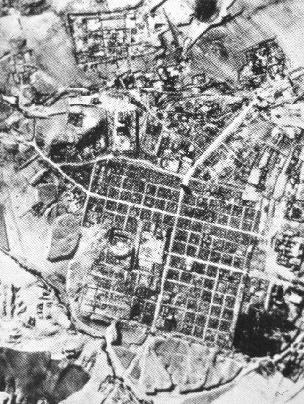 Similarly, cities destroyed in war tend to be localized to the theater of war, and this leaves definite signs that archaeologists can uncover. Similarly, again, cities intentionally destroyed by their own inhabitants is a measure of considerable desperation and is not likely to have occurred on a large scale, and it would moreover leave traces for archaeologists. This leaves us with the failure of Roman cities ambiguously related to the unintentional self-destruction of cities by their own inhabitants. In the most famous case of a Roman city — the city of Rome itself, the Eternal City — its fall was as slow and as gradual as its rise. Just as Rome wasn’t built in a day, Rome didn’t fall in a day. And the “failure” of Rome was not complete, although at its nadir Rome had gone from being a cosmopolitan city of more than a million souls, and the largest megalopolis if the ancient world (possibly the only megalopolis of classical antiquity) to being a city of fewer than 50,000, stripped of its population, its power, its wealth, its public art, and its central place on the world stage. Domestic animals grazed in the Forum Romanum as the great temples and public structures were looted as quarries for stone to build ramshackle huts nestled in among the interstices of the ruins. Rome itself, the Eternal City. Gibbon’s literary ambition grew as he worked, and he eventually would write the entire history of the fall of the Roman Empire, not excepting the history of Byzantium until that Second Rome had fallen to the Grand Turk in AD 1453. There have been others who have taken a more tightly circumscribed focus in recounting the fall of Rome itself, the city, but it would be another project again to retain Gibbon’s original concrete and particular interest in writing the fall of Rome, and iterating this to all the Roman cities, recounting their joint and cumulative decline. Dio Chrysostom, this is taken from a long passage which Dio quotes in the Seventh, or Eoboean, Discourse, 38-39, pp. 307-309 in the Loeb volume. The Original is in Greek. Many cities, Rome and Caphereus among them, experienced depopulation, declining industry, declining trade, failing infrastructure, failing institutions, and the whole panoply of problems that simultaneously exacerbate each other when systematic failure compounds local failures in a vicious circle. The booty that Strabo mentions was a symbol of civic status, and it true that when Rome or any other empire conquered a famous city they often took the most famous monuments and moved them to their capital. While this transfer of status represented a form of honoring tradition, this already points to a fundamental problem in the ancient political system, in which the strong did as they pleased and the weak suffered what they must — the famous formulation of Athenian hubris in Thucydides’ History of the Peloponnesian War. To speak in terms of historical “discontinuity” is a polite way to speak of failure followed by subsequent recovery, and if the recovery surpasses the former peak of civilization, then we have “progress.” But the ruined cities that still stand vacant today never recovered. Civilization continued elsewhere in other modes, but it abandoned the dead cities that had once been prosperous and comfortable. And the wealth was not incidental. The failed cities of Roman Hellenism that surround the Mediterranean basin are only there because they were first built and grew and thrived, only later to fail systematically and catastrophically. The prior success of Hellenistic cities is the conditio sine qua non of the collapse of an entire civilization, for without the civilization there is nothing to collapse. It was, then, at least in part, the scope and success of Roman civilization that contributed to scope and ignominy of the failure. There is a sense in which it was not merely an institution that failed, or a political system that failed, but that it was civilization itself that failed. This is what happened in the Roman world. Each city is a complex system, and the network of cities that constituted the Roman Empire was an even more complex system. Moreover, each city is a micro-center of civilization, with its hinterlands as its periphery; and the clusters of cities tightly connected by roads and shipping networks were in turn larger centers of civilization, with the outlying networks of further cities as their periphery. Emerita Augusta in modern Spain. There is a systematic way to discuss these complexities, and that is in terms of metaphysical ecology and metaphysical temporality, though here, in the present context, I will not ascend to metaphysical concerns, leaving the idea of the ancient city aside for the time being. Simply employing the bio-ecological levels of Bronfenbrenner without further extension, we can see that the city is a meso-system, or, rather, that the city is at the center of a meso-system which also includes a peripheral region. A network of cities constitutes an exo-system, with further meso-systems at its periphery. These bio-ecological and bio-social systems collapse in reverse order as they emerged and grew. As the growth of complexity is attended by expansion, differentiation, and dynamic equilibrium, their collapse involved contraction, homogenization, and disequilibrium. Now, exactly what accounts for the ability of a complex social whole to achieve both internal differentiation and equilibrium is a problem that is widely recognized, but also unsolved. One would easily suppose that greater differentiation (as in craft specialization, division of labor, and social stratification) would lead to disequilibrium, but in a healthy and growing ecological system the opposite is the case. The healthiest ecosystems embody biodiversity, as the healthiest societies embody social diversity. Somehow it works, but no one quite knows now it works. But the very fact that it is not fully understand how complex and internally differentiated systems maintain an equilibrium is as much as to admit that the equilibrium is a balance, and a balance can be thrown out of balance and into disequilibrium. The impressive world of the Hellenistic cities of Rome’s Mediterranean empire somehow passed beyond the point of balance and into disequilibrium. The apparent stability of the Roman world began to change, and it did not change for the better. The center could not hold. Things fell apart. Perhaps the interconnected ancient cities were drawn into a vicious spiral of a failure cycle. When I discussed The Failure Cycle recently I identified criminal exaptation of institutional weaknesses as a crucial part of this cycle. However, in the failure of the Roman cities, criminal exaptation does not seem to have played a major role. Perhaps I could re-formulate the failure cycle in order to account for the circumstances of Roman urbanism. when I wrote The Failure Cycle I was thinking of contemporary nation-states and their institutions, but I realize now that there is a fundamentally different relationship between center and periphery in the case of ancient cities and contemporary nation-states. In classical antiquity, failing institutions were exploited by elements in the external periphery rather than by elements internal to the center; and whereas the contemporary failed state may receive assistance from the external periphery, the ancient city was helped, if it was helped at all, by its internal core. Thus, when the core failed, there was nothing else upon which the ancient city could fall back. 1. A state with weak institutions begins to fail. 2. Institutional weaknesses are exploited by criminal enterprises, exacerbating state failure. 3. Failure becomes so acute that outside powers intervene. 4. Intervention ameliorates the immediate and acute failure, but leaves a state with weak institutions vulnerable to failure. 1. A city with weak institutions begins to fail. 2. Institutional weaknesses are exploited by external elements (e.g., barbarians), exacerbating city failure. 3. Failure becomes so acute that traditional powers intervene, seeking to restore rule and order from the center. 4. Intervention ameliorates the immediate and acute failure, but leaves a city with weak institutions vulnerable to failure. In either case, the iterated failure cycle can become a vicious spiral that grows beyond the ability of traditional guardians of traditional order to contain. This way of looking at the problem suggests that the interconnected nation-states of today (which interconnection is often referred to as “globalization”) are analogous to the interconnected cities of classical antiquity. And given that the Roman world of classical antiquity grew out of the earlier world of city-states, with the expanded possibilities of today, the nation-state stands in a relation to other nation-states today that the city-state stood in relation to other city-states in classical antiquity. Fustel de Coulanges, in his classic study The Ancient City, argued that the expansion of Rome destroyed the municipal institutions of the city-state, and replaced it universally with something Roman that was not the city-state as it was known in earlier antiquity. This would be an interesting thread to pursue in analogy to the present day, and as an extension of the thoughts above, but this inquiry will need to wait for another day. Who can resist a portrayal of Roman decadence? Perhaps the picture galleries of the future will feature works named something like 'Americans of the Decadence,' although Madden's book fortunately doesn't feed into this famliar narrative. I have just finished listening to Empires of Trust: How Rome Built — and America Is Building — a New World by Thomas F. Madden. The author makes a tripartite distinction between empires of conquest, empires of commerce, and empires of trust. He formulates an elaborate analogy between the growth of the Roman Empire and the growth of the de facto American empire. The author would point out that the Roman Empire, at least during its phase of growth, was also a de facto empire, because Rome preferred allies to conquered territories, and did all that it could to avoid foreign entanglements while also seeking to secure its frontier. From what I have written briefly about the book above, the contrarian cast of the book should be clear. This is to be welcomed. Too many people write popular histories and rely on regurgitating conventional wisdom in order to avoid offending their public and therefore selling more copies. Thus I welcome the author’s contrarianism. I also appreciate the author’s studied distantiation from any declension narrative. He goes out of his way to point out that his parallelism between Rome and America is not the familiar parallel of Rome became decadent and fell, therefore America, which is becoming decadent, will soon fall. Madden emphasizes that his parallels are between the Roman Republic, a thousand years before it fell, and America. He also explicitly acknowledged, near the end of the book, that all empires fall, but that if an empire has a thousand years of life that this is a good run. I agree. Roman grew to such a great extent, according to Madden, because Rome turned enemies into friends and allies. Much is Madden’s argument is closely parallel to what I have called The Credibility Paradox: Rome once, and America now, have credibility in foreign affairs not because they sought or seek power, but precisely because they avoided or avoid it. Empires of conquest grow because a sovereign power actively seeks to control other peoples, conquering them in order to rule them. Empires of trust grow because a sovereign power does not seek to control, and therefore has credibility when it comes to power. Not wanting to rule, an empire of trust comes into power by refusing power. Madden tells some stories of cases in which dying kings actually willed their kingdoms to Rome, such was the trust and confidence that these kingdoms would be well ruled by Rome. In the latter parts of the book, Madden formulates another detailed analogy between the terrorism that the US faces from Islamic militants and the terrorism that Rome faced from Jewish militants. In one place he quite explicitly argues that the Romans had it worse in first century Palestine than the US has it today in the same general region. Roman occupied Palestine. According to Madden, Jewish terrorism in ancient Judea got so bad that the Romans eventually came down hard on the Jews and re-named the whole region. By touching on issues of terrorism he brings up an important point of contemporary relevance, although he avoids using some familiar terminology, and it isn’t clear that this is purposeful or not. The position he formulates is the familiar line that political Islam is the problem, and that Islam must modernize and become a personal faith rather than a political doctrine. However, Madden never speaks of “political Islam” in his discussion. Madden also writes — and I agree — that Islam in the minds of many of its practitioners, is still an essentially medieval belief system. I think that this is true because Islam is about six hundred years behind Christianity in terms of its social development, and when it has passed through its medieval phase — think of Christianity six hundred years ago and you should understand what I mean by having a “medieval phase” — it will experience its own modernization through internal forces. This view of mine entails the idea that what we think of as the high point of medieval Islamic civilization (which occurred during the Christian Middle Ages) was not a medieval period for Islam, but was rather Islam’s “classical antiquity,” and the great empires of Islam of the Middle Ages are then parallel to the Roman Empire. I don’t think that Madden holds this view at all, but I wanted to mention my own point of view here. Golden Age of the Abbasid Caliphate: classical antiquity for Islamic civilization? In any case, when Madden develops his position of Islam as a medieval belief system, he nowhere mentions the idea of cosmic war that has been developed by Mark Juergensmeyer in Terror in the Mind of God and Reza Aslan in How to Win a Cosmic War. I discussed both of these books in Cosmic War: An Eschatological Conception. I think that Madden’s formulations could have been improved by drawing on the idea of cosmic war, since that seems to be what Madden is getting out, but he didn’t use the term or explicitly invoke the concept. Also, the “solution” that Madden urges (force Islam to modernize) strikes me as being as unworkable as Aslan’s “solution” (refuse to fight a cosmic war). Madden, Juergensmeyer, and Aslan have in common an explicit recognition that Islamic terrorism is religiously motivated. Madden extends this model to Jewish terrorism in classical antiquity, and I think that his argument is a sound one. Again, he didn’t call it a cosmic war, but we can say that ancient Jewish terrorists waged a cosmic war against Rome. 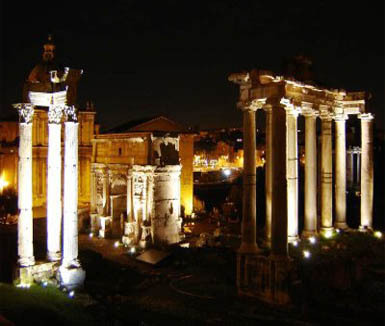 In this struggle, Rome prevailed, but at the high cost of destroying the temple, depopulating Jerusalem, and sending the Jews into exile — events commemorated in Rome by the Arch of Titus, which can still be seen today. Counter-intuitive though it may seem, Madden’s message is a hopeful one, in so far as he explicitly states that terrorism can be overcome, and suggests that he is hopeful that it can be overcome in our time through less brutal methods. The Romans plundering the temple in Jerusalem: not so much the spoils of war as the price to be paid for terrorism. Madden’s treatment of terrorism set me to thinking, and I realized that he is right, is so far as terrorism could be much worse today, and has been worse in the past. While Madden’s focus of concern is a comparison of Rome and America, if we go a little farther afield we can produce an even more “successful” example of terrorism than first century Palestine, and that is the cult of the assassins, also known as Shi’a Nizari Ismaili Muslims (as well as by many other names). The story of the assassins is so astonishing that it would seem to have been taken from a Hollywood film rather than actual history, but the assassins were real, and we might even say that they constituted the apotheosis of terrorism. If we take the murder of Seljuq vizier Nizam al-Mulk in 1092 as the first victim of the assassins, and fall of the last assassin fortresses in 1265 to the Mamluk sultan Baybars as the end of the group, the assassins exercised an influence throughout the region for more then 170 years — which is quite a run for a terrorist group. If any government today thought they were facing a threat that could last nearly two hundred years, there might be a certain sense of hopelessness in fighting such a menace. Nizam al-Mulk, first known victim of the Assassins. The assassins began as a stateless entity — essentially an NGO — but grew to such power that they seized fortresses and held territory for almost a hundred years. They organized secret cells throughout much of the region, and such was their power at the height of their influence that it was felt that anyone, anywhere, anytime could suddenly become the victim of the assassins. By killing prominent figures at politically sensitive times — they murdered Conrad of Montferrat just before his coronation in 1192 — they fulfilled the essential function of terrorism, inspiring disproportionate terror in the populace at large, and especially among the political leaders who feared that they would be the next target. The fear that anyone, anywhere, anytime could become a victim is curiously parallel to the situation of mutually assured destruction during the Cold War, since under these latter circumstances the same formulation was found, and was the basis of escalating fears: anyone, anywhere, anytime could be killed by a nuclear missile appearing as though from nowhere. But a nuclear weapon is an anonymous agent of death; an assassin was a very personal agent of death. I am not sure which is worse, or which inspires the greater terror. Certainly, both are effective. Putting a smile on mutually assured destruction. The point here is that we must recur to something as monumental and as a horrific as mutually assured destruction in order to understand the impact that the assassins had on the Levant during the Middle Ages. In fact, it was the success of the assassins that led the major military powers of the day to eventually undertake military operations to destroy the fortresses held by the assassins. Eventually this action was successful, and the archive of the assassins was burned, so that the record of history consists exclusively of hostile witnesses. Perhaps if the assassin’s library had been preserved we would view them in a different light, and not call them terrorists (as I am doing here). From what we do know about them, however, the assassins seem to deserve to be called the apotheosis of terrorism. Like Madden’s upbeat closing note that Jewish terrorism in the Levant was eventually ended by Rome, and that we can hope that terrorism today can be defeated at a lower cost, I can also observe that the assassins were eventually defeated, but it was a long, hard slog. I started reading Aristotle this morning shortly after I woke up, and The Great Empiricist, as usual, set me to thinking. I was reading Aristotle’s Politics just now and I was struck by the great many examples and illustrations that he could adduce for all his arguments about different kinds of governments, how they change, and how they are overthrown. There was a lot less written history available to Aristotle than there is to us, but he still seemed to have plenty of material to drawn upon. It was the image of a “gaunt hand” that stayed with me. After I read this passage I looked at a map of Greece and I saw that it did in fact look like a skeletal hand stretching out between the Aegean and Ionian seas. Perhaps my interest in geopolitics has its origins in that moment. It was the first time that I had the explicit thought that life (and thought) is integral with the environment in which it is lived. The same political fragmentation, born of geographical fragmentation, that meant that there was no Greek kingdom, no Greek empire (at least, not until Alexander), and certain no Greek nation-state, meant that there was enormous political plurality, diversity, and evolution throughout Greece. The diversity of the Greek political landscape made ancient Greece a concrete thought experiment: any idea that could be hit upon by a small community isolated on an island or by some tyrant with a similarly small community under his thrall could be put into practice and tested under actual concrete circumstances. And, until the Persians came, the Greeks were pretty much free to do this without any outside interference. The fragmentation of western Europe was the fragmentation of ancient Greece writ large. Similar considerations applied: there was a great deal of political plurality and diversity in Europe, and it turned Europe into a laboratory of the mind. This made Europe especially productive in philosophical thought, and indeed the Greek tradition of philosophical thought that was passed along to Europe grew into something unprecedented and unknown in any other part of the world. Recall that the Arabs, too, were the inheritors of Greek philosophy, but after an medieval efflorescence (under, I might point out, a more-or-less unified and contiguous empire), little more was done by the Arabs in philosophy in the following modern period. This reflection in turn made me think again about my recent posts about anti-philosophy in contemporary science — Fashionable Anti-Philosophy and Further Fashionable Anti-Philosophy — and I have to admit that it makes me a bit sad to to see that which been distinctive and definitive in the western tradition now marginalized to the point that it is pretty much a throw-away line to say something mean-spirited about philosophy. You are much more likely to get a sympathetic ear if you talk about the “ancient wisdom” of the East, or its philosophical and mystical traditions, than if you attempt to get to the core of the Western tradition, which is, at bottom, a philosophical tradition. On my other blog, in The West and the Rest, I wrote that, “When the rest of the world was busy creating theologies during the Axial Age, the Greeks created philosophy.” Perhaps this, too, was ultimately an outgrowth of the geographical diversity and the islands dotting the eastern Mediterranean, for the diverse political culture that emerged from this milieu meant that equally diverse ideas arose from these diverse milieux. Every ancient school of philosophy is named for the city or the island that it hailed from (remember the Eleatic Stranger who confronts Socrates) or for a particular philosopher, and the particular philosopher is usually named for his city (such as, for example, Anaxarchus of Abdera). It was the Greek laboratory of the mind that gave rise to political pluralism, and this same laboratory of the mind gave rise to philosophy. The Greek political and philosophical traditions grew up twins. And we Westerners are all — always have been, always will be — Greeks. 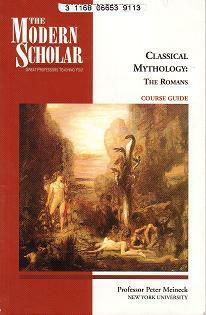 Recently I listened through Classical Mythology: The Romans, 14 lectures by Professor Peter Meineck. Professor Meineck made an interesting point that hadn’t occurred to me previously in comparing Odysseus to Aeneas. These two are, respectively, the hero of the ancient Greek “national” epic, The Odyssey, and the hero of the ancient Roman “national” epic, The Aeneid. The Romans, like most peoples up until the modern period, sought truth, authenticity, and authority at its source, in the distant past. It was enough for a tale to be reputed to be ancient for it have a certain presumptive value. Thus the Romans looked back to the Homeric poems, The Iliad and The Odyssey, as the proper measures of what a “national” epic should be (before the emergence of nationality per se). The Romans didn’t merely take on the setting and the story of the Trojan War, which was the setting of the Iliad and the Odyssey, they literally inserted themselves into it. The figure of Aeneas was extracted from The Iliad and pressed into the service as the founding father of Rome and the Roman people. Thus not only were the Greeks ultimately Trojans, but the Romans were ultimately Trojans also — in other words, an heroic people. But the heroism of Romans was rather different from the heroism of the Greeks. Odysseus spent ten years trying to get home to Penelope, surviving many a remarkable adventure, but always focused on getting home. That is to say, Odysseus wanted to get back to the place where he started. Without the goal of home, the Odyssey loses its purpose. Aeneas, the Roman hero, on the other hand, has not set out to find his home but to make a home. His goal is not to return to the life he left, but to establish a new life and a new people. Aeneas was a man with a mission. In other words, Aeneas had a manifest destiny; Odysseus did not. This is, of course, not the only different between Odysseus and Aeneas. Odysseus is a “man of many turns” — he takes pride in subterfuge, stratagem, indirection, and evasion. Aeneas, in contrast, even before he has established a bourg of his own has all those bourgeois values that a solid, stolid people like the Romans wold have wanted in their founding father. These are indeed two very different men. 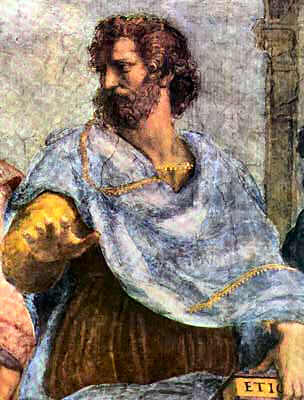 While Odysseus was sidetracked for seven years by Calypso, and although he admitted that Calypso was more beautiful than Penelope (the former was a Goddess, after all, or at least a nymph), he ultimately left Calypso and the possibility of immortality with her in order to get back to home and to Penelope. Aeneas, too, had a notable dalliance on his journey, with Dido, Queen of Carthage. Aeneas jilted Dido when reminded of his mission to found Rome, and Dido offed herself (being thrown over for a city that doesn’t even exist yet must be tough). Dido’s being jilted by Aeneas provides the backstory to the Punic Wars, making the love affair more than tragic. In contrast, there was no Hannibal from the island of Ogygia to take revenge for Odysseus leaving Calypso. Since the end of the Cold War it has become a commonplace to make comparisons between the Roman Empire and contemporary America. Even before the end of the Cold War one would hear references to Pax Americana, and recent US wars (and US-sponsored wars) have been relentlessly criticized as imperial. Certainly both Rome in classical antiquity and America in modern industrialized civilization represent the dominant powers in the Western world, and as such they are rightly examined for parallels. There is, it must be said, some justification for this parallelism. The US is a political experiment that draws equally from the two greatest exemplars of political power in the ancient world: Athenian democracy and Roman republicanism. One tends to think more about the democratic heritage, but the Roman republican heritage is no less significant. The Federalist Papers were signed “Publius” and not “Demosthenes.” More than a parallelism between Rome and America, there is also an element of descent with modification. How do you give shape and structure to a society of diverse peoples of diverse backgrounds and diverse beliefs? You do so by giving them a mythology based on the future, and not on the past. Most peoples the world over have taken their identity from their past, from their roots, from the origins, and I have remarked above that, like all peoples of antiquity, the Romans too sought authenticity at the source. But they also had Aeneas and his manifest destiny: that is to say, manifest destiny displaced into the past. America, too, once had its manifest destiny in the past, and looked upon its Pilgrim fathers and its founding fathers and men who left the Old World for the Promise of the New World, much as Aeneas left Troy, that great ancient city, to found Rome, that great city of destiny. Aeneas, fatefully, founded the Eternal City. What can possibly come after or beyond the Eternal City? The Future City. The land of the future. The people of the future. The nation that would project itself into the future. The nation possessed of manifest destiny. With the emergence of the idea of manifest destiny, American authenticity was transformed from the past into the future, and thereby separating itself from most nations and most peoples in history. Identification with the future, with possibility, with potential, is a rare thing in human history, and it accounts, at least in part, for American exceptionalism. Aristotelian ethics as we know it today is a strange beast. We have all heard of the “Golden Mean” and that virtue is the middle point between two extremes, and this seems as applicable today as it was in the time of Aristotle. However, there is a lot in Aristotle’s ethics that is not particularly applicable today. Some contemporary interpreters of and commentators upon Aristotle make a nearly heroic effort to demonstrate the relevance of Aristotelian ethics to contemporary life, and some of these readings are plausible. However, I think we do Aristotle a disservice if we make him too contemporary. Part of appreciating the past is appreciating its profound differences from the present, and in this spirit I think it is as important to point out the ways in which Aristotelian ethics is incommensurable with life in contemporary industrialized civilization. One of the reasons that Aristotle’s ethics is such a strange beast is that it has been around so long and has therefore acquired considerable historical accretions over its long history. We all know that medieval scholastic philosophy was a Christian construction upon Aristotelian foundations (like a Greek temple with a church built over the earlier building), so that during the thousand years of the Middle Ages the Schoolmen were continuously reading and commenting on Aristotle, during a period of time when the only text by Plato that was available was the Timaeus. Plato survived at one remove through the mediation of Saint Augustine, but it was not until the later Middle Ages that the complete Platonic corpus as we know it today became available. And so we have many, many medieval commentaries upon the works of Aristotle, but no great medieval commentaries upon the Republic. This is an odd state of affairs, and it has influenced the intellectual history of the West. I have long had it in mind that I would like to write a screenplay (definitely an arthouse flick) about a medieval monk in a scriptorium who is copying Aristotle’s Nicomachean Ethics. The film would be very constrained, confined, and almost claustrophobic. The main action would consist exclusively of the scriptorium monk coming to visit his spiritual adviser to discuss troubling issues that he has found in the moral works of Aristotle. It would be difficult to imagine a greater contrast in ways of life than between a philosopher in Athens during classical antiquity and a monk in an isolated monastery during the Middle Ages. Nevertheless these medieval scholars would have read Aristotle’s Nicomachean Ethics very closely, and through it they would have been exposed to a very different world than their own. How a medieval monk would construe the requirement of giving gifts of the correct degree of magnificence to one’s polis is about as hard to say as how this requirement would apply to the ordinary working class person today (which is most of us). Aristotle’s ethics is through-and-through aristocratic in conception. It was never intended to address the moral lives of slaves, children, women, or foreigners (barbarians, i.e., anyone who didn’t speak Greek). The sort of things that Aristotle suggested were appropriate for a Great Souled Man (μεγαλοψυχία — megalopsuchos or megalopsychia or megalopsukhia, depending upon your transliteration of the Greek) are applicable only to men of wealth, position, and privilege. Probably a great many such men (of which Aristotle was one) did not think that slaves, women, children, and the poor had moral lives. This point of view was a near constant throughout classical antiquity, and carried over to the upper classes of the Roman Empire. One can see, in this context, what a revolutionary thing that Christianity was when it burst upon the scene, because it not only posited that everyone was a moral being with a moral life, but it even went so far as claim that the meek would inherit the earth and the poor in spirit were blessed. This is about as un-Aristotelian as it gets. Aristotle’s Nicomachean Ethics gives us the refined and philosophical version of the Great Souled Man, his virtues, his way of life, and his function in his community. But I realized today that Aristotle was not the only Athenian mouthpiece for a rigorously aristocratic ethic that excluded most of the world from its purview of concerns. The Athenians as portrayed by Thucydides in his History of the Peloponnesian War might well be called Not-So-Great Souled Men for the hubris that they bring to the role. There were probably some wealthy, powerful, and privileged men who approximated the Aristotelian ideal of the Great Souled Man, but I suspect that by far the greater number of the wealthy, powerful, and privileged of classical antiquity were more like Athens: contemptuous, imperious, and thoroughly unpleasant. The first great age of Western philosophy — the age of Socrates, Plato, and Aristotle — occurred in the aftermath of war. I don’t think that this has been sufficiently appreciated. The Athens of Socrates, Plato, and Aristotle was not the Athens that saw the foundations of the Parthenon laid, not the Athens of Pericles, not the Athens that transformed the Delian League into an Athenian empire, and not the confident (if not overweening) Athens that allowed itself to become involved in the Peloponnesian War. The Athens of Socrates, Plato, and Aristotle was a defeated Athens, an Athens that had witnessed catastrophic escalation and radicalization, had been ravaged by a plague, and was administered by a puppet government installed by the Spartans. The Peloponnesian War was the World War of classical antiquity. There were many wars in antiquity, and many wars before the Peloponnesian War, but there was never before anything like the Peloponnesian War, when almost all the city-states of Hellas were forced to take sides in a brutal conflict that lasted almost thirty years (and more than fifty years if we count the First Peloponnesian War and the Thirty Years’ Peace). If there had been such things as nation-states in classical antiquity, the Peloponnesian War would have been the great example of a civil war. As it was, the Greeks knew that the Peloponnesian War turned Greek against Greek and father against son. I have had occasion in other posts to quote some of the famous passages in Thucydides that describe the radicalization and brutalization that occurred as a result of the war, and since only longer extracts can do justice to the topic, I won’t repeat them here. Those of us who lived in the twentieth century know enough about radicalization and brutalization that we have some understanding of what happens to societies when war becomes a way of life. If you’re interested, you can read about the Corcyrean Revolution in Revolution: Ancient, Medieval, and Modern, and you can read Thucydides’ descriptions of Athens and Sparta in Spreading Democracy: An Historical Perspective. Better yet, get yourself a copy of The History of the Peloponnesian War and read the whole thing. What interests me today is the way that this great conflict shaped Western intellectual history. Before the Peloponnesian War Athens in particular and the Greeks in general were already famous for their philosophers and philosophical schools, but we note that this philosophy was largely cosmological and metaphysical. Thales said that the world was made of water, and Democritus said that there were only atoms whirling around in a void. This sort of thought, if carried on today, would be science, but in classical antiquity there was as yet no distinction between science and philosophy. One might even say that the distinction between science and philosophy begins, or at least has its roots, in the intellectual shift that happened during the Peloponnesian War. The Golden Age of Athens had its philosophers, but it was much more famous for its poets and playwrights, its art and architecture, and its famous statesmen like Pericles. This was a vigorous culture that produced great monuments of building and literature that still astonish us today. It is thrilling even today to read Aeschylus’ Prometheus Bound and to hear the hero contemptuously tell Hermes, “Tell your master Zeus that I hate and despise him.” Prometheus not only gave us fire, he also gave us the omertà. We Westerners recognize ourselves in this immediately; our rebelliousness is not the least of our Hellenism. In several posts I have written about what some historians call the Axial Age, in which the world’s great mythological traditions had their origins and formative years. The Axial Age of Greece was the heroic age, even before the Golden Age of Athens. The formation of axial age mythology was, in a sense, the intellectual background to the Peloponnesian War, and following the ravages of the world, a novel and different kind of intellectual activity emerges. As I have suggested that civilizations undergo a process that we may call axialization once they reach a certain stage of maturity, we can also posit a process of philosophicalization when this mature form of civilization reaps the wind after having sown the whirlwind in mythological enthusiasm. We find ourselves today in the aftermath of war — the aftermath of the Cold War. The Cold War was a long conflict fought on many fronts, through several proxy wars, between ideological enemies. Despite being a long contest, of the sort from which we do not expect a clear winner to emerge, in fact it was settled decisively in favor of one of the agents to the conflict. All of these things the Cold War has in common with the Peloponnesian War: its length, the many proxy wars fought by allies putatively aligned with one side or the other, the clear ideological difference between traditionalist Sparta and democratic Athens, and the decisive outcome. We think in the aftermath of the Cold War as the Greeks thought in the aftermath of the Peloponnesian War, in terms of the structural influences that our civilization brings to bear on us. If we were to produce another Socrates, Plato, or Aristotle, it might all be worth it.